The title of my blog includes “and sometimes her dog.” I am one of those weird dog people that considers her dog as her kid. He is just as important to me as I am to my own mother, and I am fine with that. This is Sampson. He is my favorite part of my world and the best listener I have. 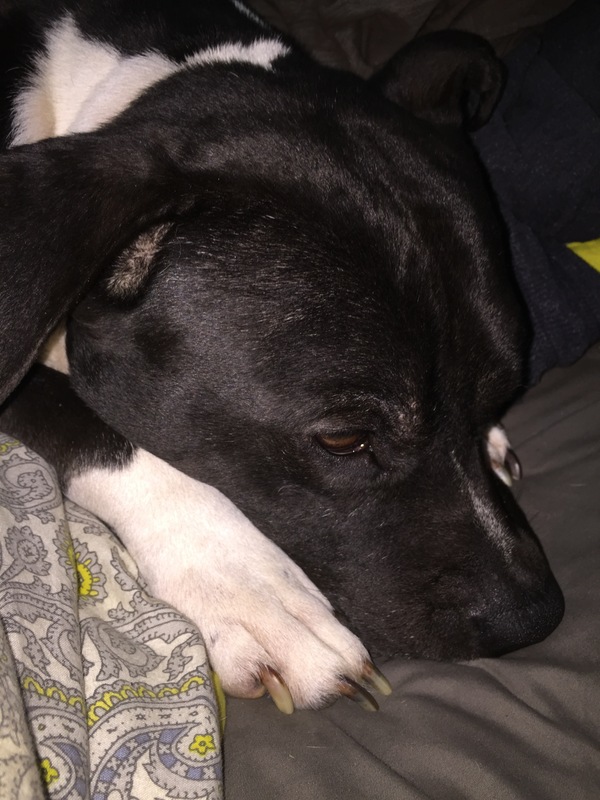 He is a seven year old pit bull who is afraid of water, the dark, and grass that is taller than the tops of his paws. He also gets domestically abused on a daily basis by my ten year old cat. And I just noticed in this picture that his nails need to be clipped. I used to make fun of my neighbor when she would talk so much about needing to get home to her dog on a night out. Now, I have literally cancelled plans because Sampson got really comfortable on my lap and I didn’t want to move him. I wanted to introduce him to the world, so welcome to the interwebs Sampson!